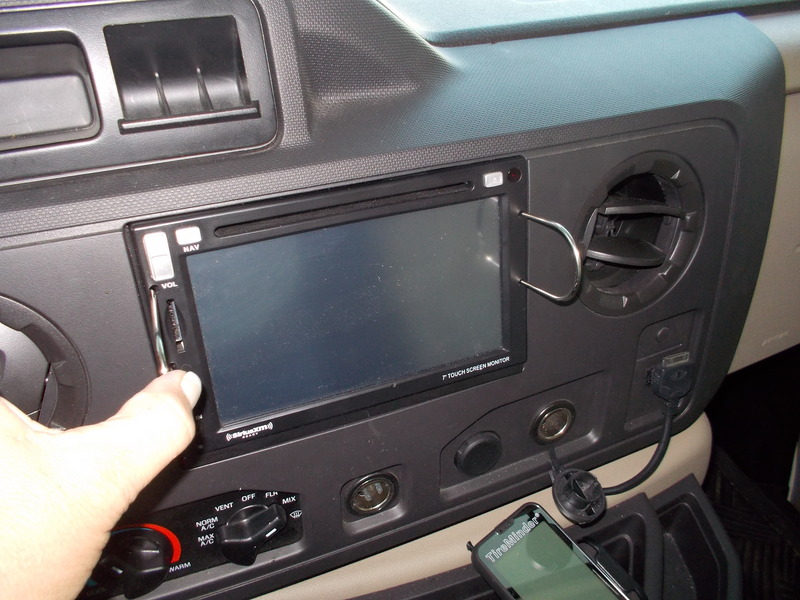 Rhoda’s onboard GPS (Magnadyne) needs a map update. I don’t mind learning how to do this but I’m at a loss trying to understand how the designer of this unit thought this was the easiest, most convenient place to put the SD card. I’m guessing that they got a little feedback as the newer model utilizes the built-in card reader on the front of the unit. OK, time to get busy. Here are the steps I followed to locate and update the SD card. 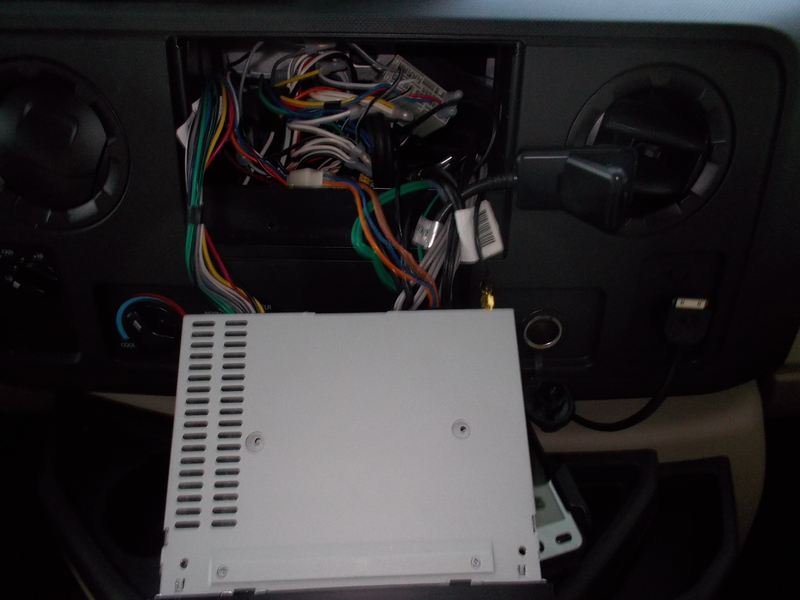 Since Rhoda came with the extraction tools, I was able to get right to the job of pulling the component from the dash. Insert the U shaped tool in the 4 corresponding holes on the sides of the unit. You will feel a slight resistance. Push gently outward on both tools while pulling the Magnadyne unit towards the front. Pull it out just far enough that you can access the connections in the rear. Use caution around the wires, disturbing them as little as possible to avoid disconnecting any of the contacts. Locate the heavy black cable with a small box on the other end. Gently open the black box and remove the SD card. Insert the SD card in the SD reader on your computer. Open the link and follow the directions. Once the card has been updated you will need to reinstall it in the Magnadyne, start the GPS and wait for the navigation screen to appear. You should get a message telling you that your update was successful. 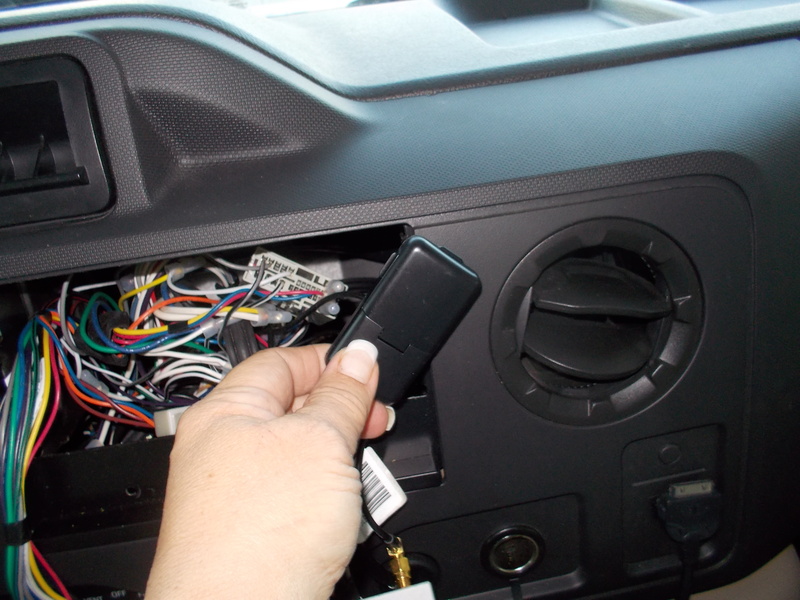 Remove the SD card and return it to the GPS. 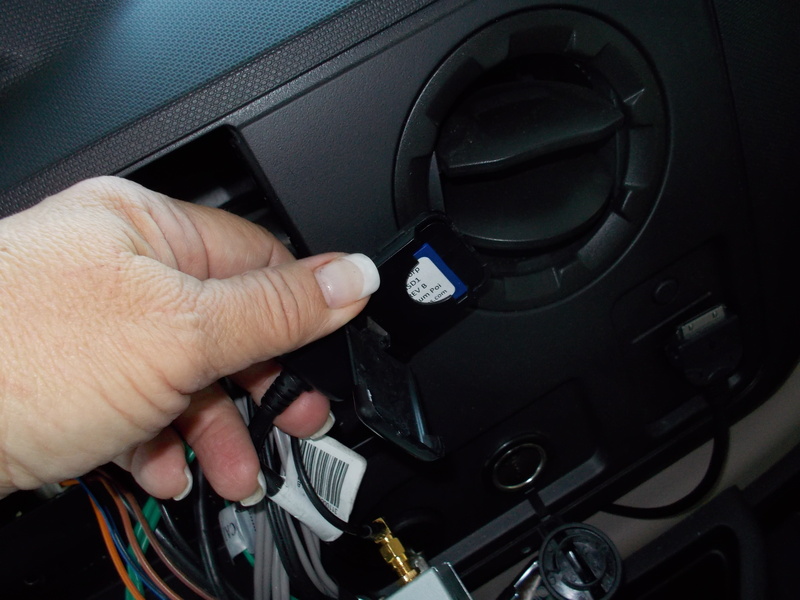 Putting it all back……… Make sure all the wires are tucked into the receptacle and free from being pinched as you slide the unit back into the hole. 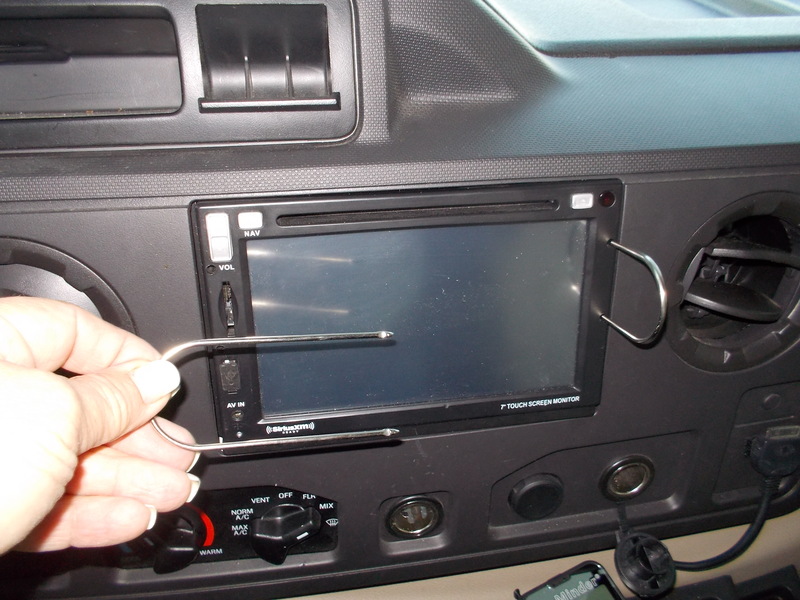 Once the unit is in place, press gently but firmly on each side until it snaps back into the brackets and flush with the dash.